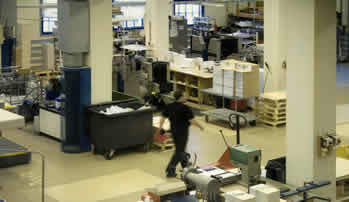 Master Print Center is a full service printer and direct mail advertising service. Whether you require full color advertisement postcards, digitally-copied newsletters, brochures, pamphlets, manuals, or logo and layout design, Master Print can get the job done, from digital file to hard-copy, and even into the mail! Our customer service separates us from the competition! Our order-takers and estimators are the same people who will follow your job through production to be sure it is printed, folded, stitched, bound, mailed, or whatever else needs to be done, properly! Our manager and most of our staff have been with us more than 10-years. Regardless of your experience level when it comes to printed and direct mail materials, we can walk you through each step, provide the options and advice that you need, OR just present you with the best product and the competitive price that you require! Our service is friendly, our follow-up of each job is personal, and our goal is your 100% satisfaction with the job you received and the impression you have of us when your job is complete! Exceptional service, high quality print and direct mail, and competitive pricing will define your experience with Master Print Center! © 2008 GLH Company, Inc. All rights reserved.